Flashback to the year 1991. George Bush Sr. held the presidency. The Bulls held court in the NBA. When it came to getting down to business, we came to our respective conference tables armed with paper, pens and handshakes. Online docu-sign services had not yet been invented, so contracts needed face-time to get signed. Cloud computing was just a twinkle in Silicon Valley's eye, so sharing and accessing important data involved manila folders and couriers. Fast forward to today and a whole lot has changed in our daily lives—and in enterprise asset management. Smart phones. Streaming television. Banking, car and mattress buying without ever leaving your couch. A notable world population increase of more than a million humans. Our existence is inarguably more connected, crowded and complicated than it was a few decades ago. It makes sense that the same applies to joint use agreements and the assets they govern such as utility poles, the companies that own these assets and the attaching entities that share them. The thing is, while we are all living in a dynamic, ever-changing present, many joint use contracts are STUCK in the past. Whether they were written pre-millennium and have never been revisited, or never existed outside of a verbal agreement, there is a certain reality to recognize: if we can go from taking calls on a landline to capturing roaming cartoon characters with our smartphones in the same timeframe, enterprise asset management should be able to update and legitimize the wink-and-nod "contracts" of the past. 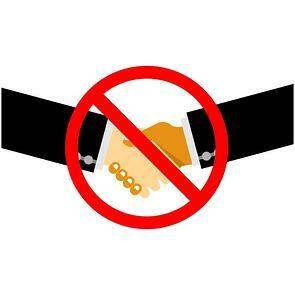 It is simply past time for everyone to put the secret handshake of joint use contract-making behind them. The joint use world has changed. The casual agreements made in the field of 25 years ago were likely made between a pole owner's representative and a representative of the one or two attaching entities in town. These were simpler times. Whereas several decades ago there were only a handful of providers vying for space on utility poles, in 2016 a variety of competition exists—competitors and collaborators, DAS and CATV and high-speed internet and cellular carriers, among others. It is getting even more crowded up there, and keeping track of equipment is not something that can be done in one person's head (or written spreadsheet) any longer. Left to their own devices, joint use contracts sometimes enjoy long shelf lives—longer even than the careers of the joint use staff that administer them. As a result, routine personnel changes often lead to misunderstandings about agreements, or help them be forgotten altogether. When expectations are not clearly set for and agreed upon by all joint use partners, relationships suffer. These companies are literally in this together and enjoying positive communication is key for everyone's success. In the past few decades, corporate mergers have ruled the day, changing the very fabric of these companies, shaking up employees and melding brands. On a more functional level, the turnover and chaos of acquisitions means any agreement not paper or digitally verified is likely to get lost in the shuffle. As larger companies continue to join forces with smaller ones, will your informal joint use contracts be among the pieces of a legacy company left to history?